The Solid Performer is back, available at just Rs.11,999 for 8GB/1GB RAM, and Rs.12,996GB/2GB RAM variant. Motorola, A brand well-known of making sturdy, innovating and interesting smartphones, made a huge come back in smartphones through its Moto like up with Moto E, Moto G & Moto X. Thanks to its excellent pricing, highly-optimized hardware and great specs, it was an instant hit. Being the most popular of the segment, Moto G has received this third upgrade with amazing set of hardware and features, that makes it a true next-generation Moto. Putting all the rumors to the sweet end, Motorola has finally announced its 3rd gen Moto G, at a launch event in New Delhi, India. This phone comes in two variants, one variant has 8GB/ 1GB RAM at 11,999 INR and other variant has 16GB/ 2GB RAM at 12,999 INR. Moto G features 4G LTE, 3G, Wi-Fi, Bluetooth 4.0, and Micro-USB connectivity options and is backed by a 2470 mAh battery. SoC gets a minor update as it now uses 1.4GHz quad-core Qualcomm Snapdragon 410 processor coupled with an Adreno 306 GPU. 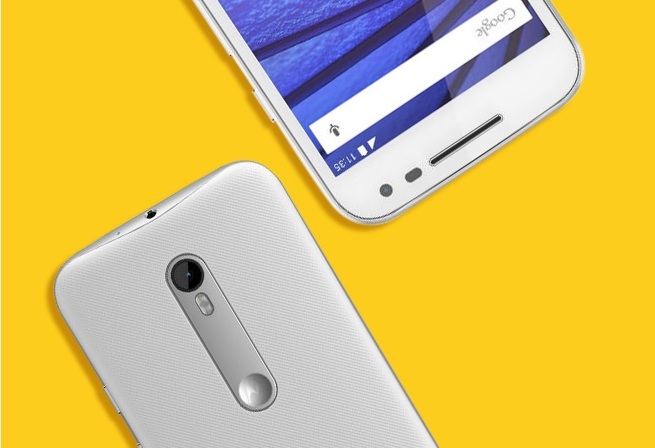 It has the same 5-inch HD 720p IPS display with Corning Gorilla Glass 3 as Moto G 2nd gen. It comes with Android 5.1.1 Lollipop pre-installed. These new smart phones will be sold like their previous generations i.e. exclusively through Flipkart. However, Motorola hasn’t made public as to how many units of this phone will be kept for sale on its 1st day. It’s been already a day since the midnight launch last night, but all the white and black variants are still in stock, suggesting they have sufficient number of devices available. Moto G 3rd gen will face a tough challenge from Lenovo K3 Note on lower price point, and Xiaomi Mi 4i based on the specifications. So it would be interesting to see how it performs in the market as compared to its predecessors as previously they had very small or almost no solid competition. What do you think about these amazing new features that came with Moto G? What would you prefer more, Moto G, Mi 4i or less-priced devices like K3 Note? Let me know, in the comments section below. Friendship Day Gifts for Techies: Think Out Of The Box!